Patrol Officer Matthew McNally succumbed to injuries sustained several hours earlier when he was struck by a drunk driver while investigating an accident on East Main Street. He and his partner were taking measurements in the roadway when Officer McNally was struck, nearly severing one of his legs. He was taken to St. Mary's Hospital where he succumbed to his injuries approximately four hours later. The driver of the vehicle that struck him was charged with driving while intoxicated. 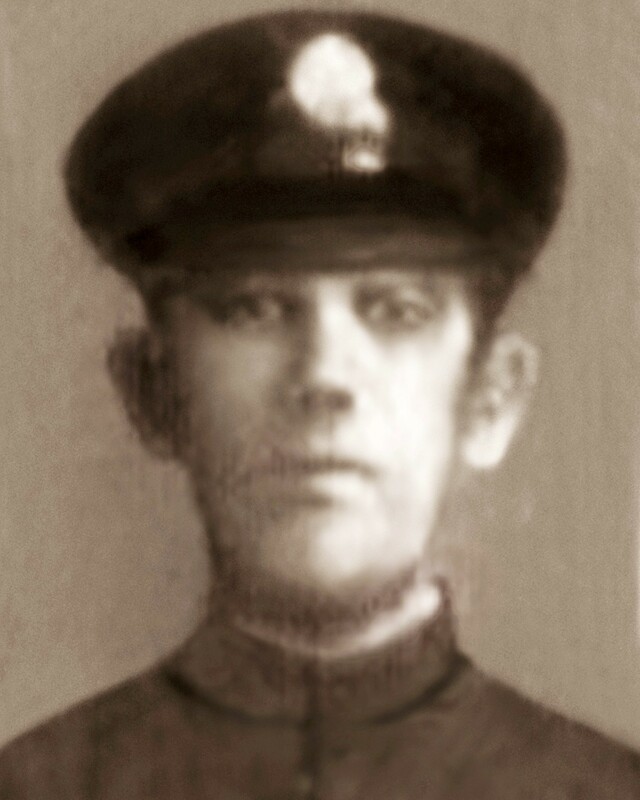 Officer McNally was a WWI veteran and had served with the Waterbury Police Department for 11 years. As your great grandson, I am honored to be part of your legacy and to know all that you gave in the name of duty and honor. I thank you for your service and the gift of my grandmother (Cathleen McNally Larkin) and my mother (Patricia larkin feeley). I am proud to share your heritage and there can be no greater legacy than their strength and love. Thank you and rest in peace.